This topic contains 0 replies, has 1 voice, and was last updated by hoor42 3 years, 8 months ago. Do they love Scorpio woman? 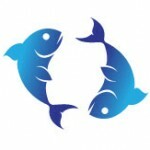 Capricorn woman needs help with her Pisces EX! How would you describe a Pisces?